Do you ever wish you could have dessert for breakfast? 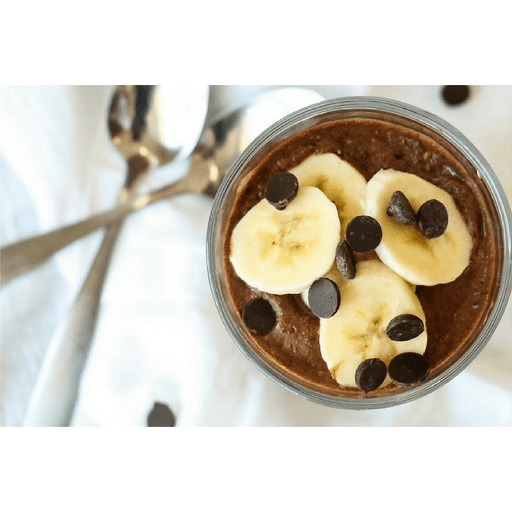 Well now you can with Almond Butter Chocolate Chia Pudding! Full of chocolate-y, almond butter flavor, you’d never know that these decadent, homemade pudding cups are packed with nutrition. 1. In a medium bowl, whisk together all ingredients until combined. 1. Divide between two serving dishes. Cover and refrigerate 2-3 hours or overnight. 1. Serve chilled with optional toppings. Top with banana slices, chocolate chips and extra almond butter. Calories 300, Total Fat 16g (Saturated 2g, Trans 0g), Cholesterol 0mg, Sodium 120mg, Total Carbohydrate 36g (Dietary Fiber 11g, Sugars 21g), Protein 8g, Vitamin A 6%, Vitamin C 0%, Calcium 30%, Iron 15% *Nutritional values are an approximation. Actual nutritional values may vary due to preparation techniques, variations related to suppliers, regional and seasonal differences, or rounding.